In Product Design System class, we collaborated with Coway, a company that produces home appliances such as water purifiers, air purifiers, kitchen and bathroom appliances, to design smart health care systems using Internet of Things (IoT) products for families with parents in 40s. We narrowed our target to a family with working parents and a child and went through rigorous UX design process to find the best system solution. Coway Total Care System comprises of two parts: (1) I-Care Service that takes care of the child's health smartly, reducing the parents' concern, and (2) Coway Perfect Care Service that constantly monitors the environment of the house and takes care of it professionally when pollutants are detected. The final deliverables include a system diagram, a scenario video, and user interface designs for wall pads and smartphones. The team consisted of six students. From Coway's website about IoCare and advertisements, we can see how our team's concepts have been adopted. 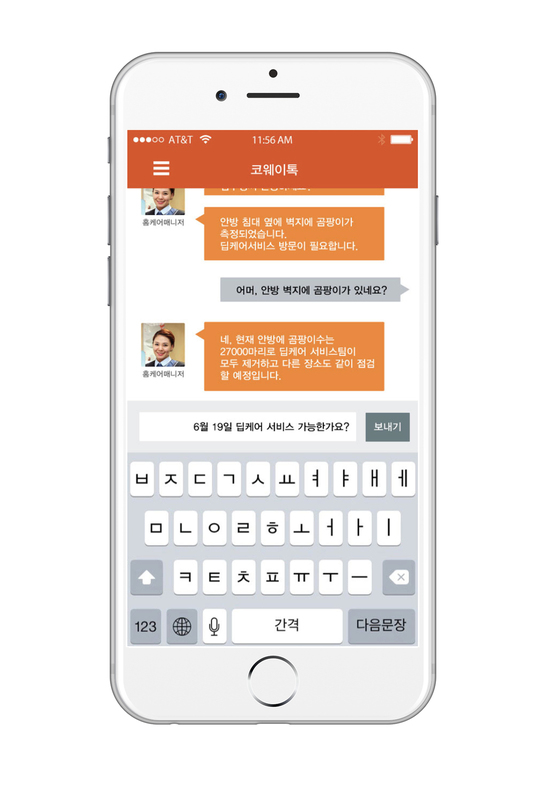 *The original research and design are in Korean. The information has been summarized and translated into English. We conducted a secondary research on (1) IoT products, (2) households aged in 40s, and (3) Coway. We researched on IoT, in perspective of technology, products, and trend. We mapped IoT products into 4 categories: the activeness of information processing, Social aspect, Connectivity with other IoT products, and Easiness in installing. Then we decided on the direction of the system we intend to build. We researched on the lifestyle of the people in 40s and extracted keywords. The refined keywords are (1)interest in home and child (2)dividing household chores (3)friendy (friend + daddy) (4)"for me" (5)reasonable consumption (6) smartphone. We found three insights from the research on Coway. (1)The reason for Coway to keep the first place in environmental consumer electronics market is because of its wide range of products, (2)Coway has the potential to be a service platform to enhance the user experience, not merely a provider of products, and (3)by collaborating with KT, a telecommunication company, it will be easier to process users' data and the customer journey will be able to cover all kinds of life styles including entertainment, telecommunication, culture and etc. Based on the secondary research result, we defined the target user as "a family with working parents in their 40s and one child". Then we created personas and their expected schedule of a day to see their needs. First, we listed and assorted the questions that should be addressed and answered in primary research. Four families were recruited to participate in our research. We finalized the 8 design methods to be used in primary research. Some were chosen from existing design methods and were adapted to fit into our research. Some other methods were created. To understand overall lifestyle of the families with working parents in 40s and a child. The questionnaire result guided us through further primary research. 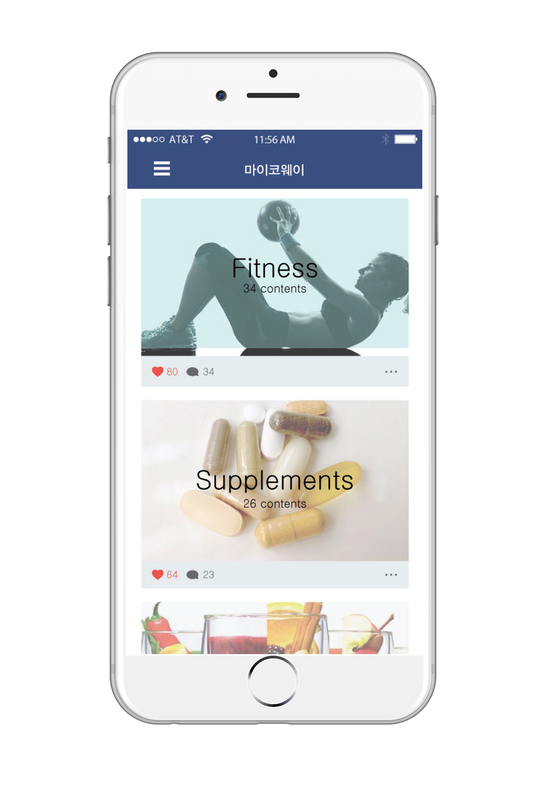 To observe users' knowledge, habits, and interest in health and environment. 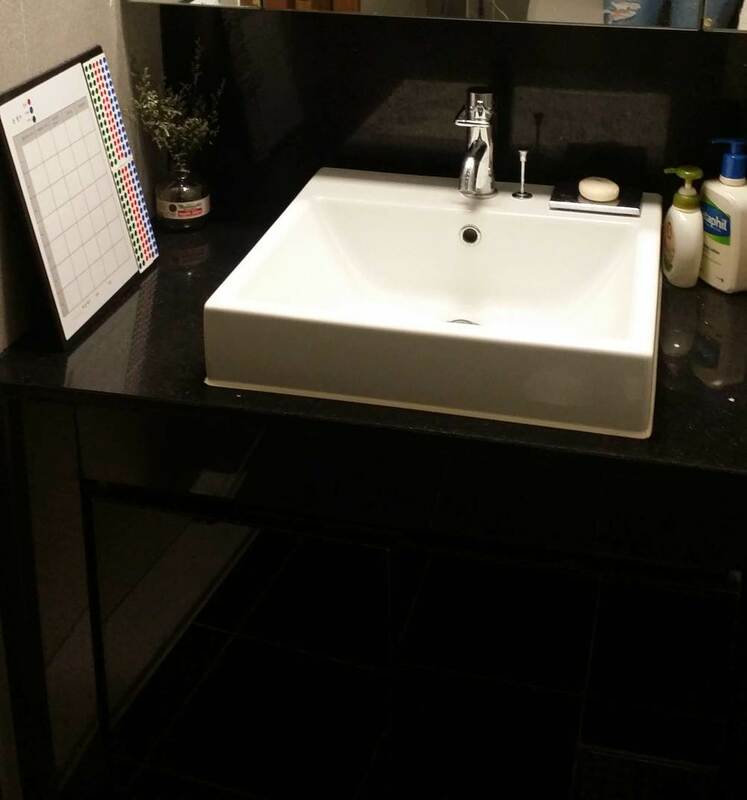 Users were asked to put stickers on the board that tracks their habits related to health and environment issue such as washing hands, drinking water, and opening windows to circulate the air. 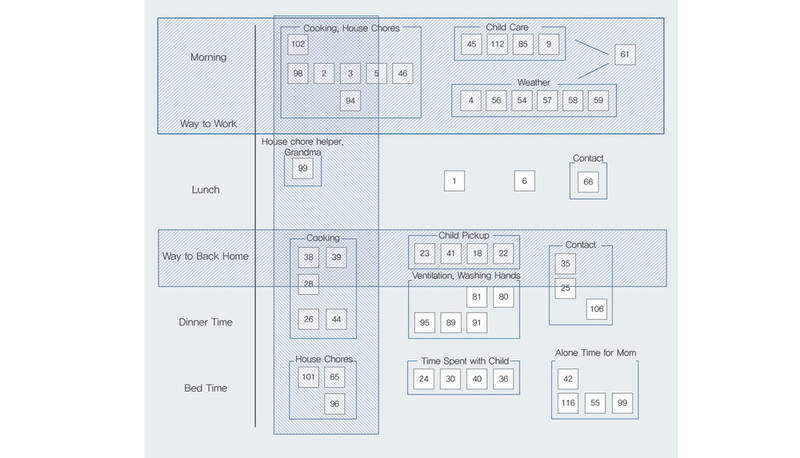 To observe user behaviors related to health and house chores and to understand their life and culture. The video camera was installed in the living room for a week. To understand the interaction between family members who do not have a lot of time to spend together. Users were asked to capture the call logs and messages unless they infringe on their privacy. To understand the user's smartphone usage pattern. Installed an app on users' smartphones to track what apps are used at what time of the day and the total time spent on the app. 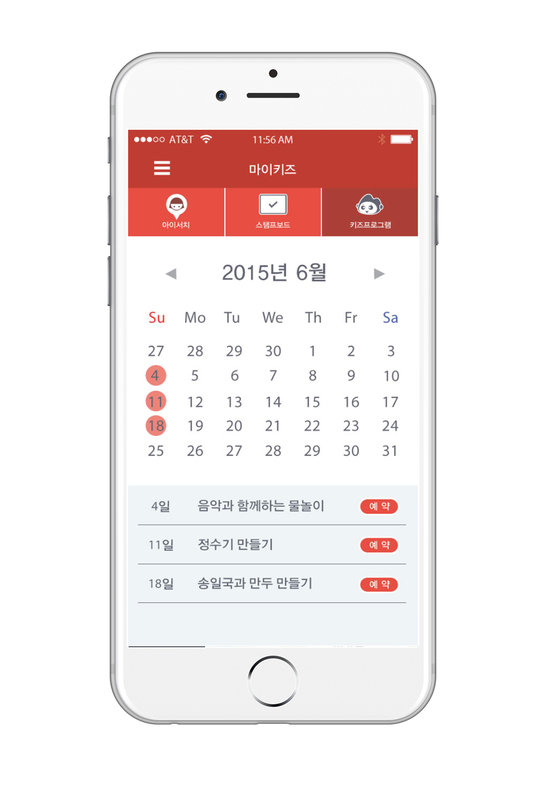 To see the users' needs related to their busy schedule and see the possibility to solve the problem system-wise. Users were asked to draw their schedule and reimagine what they would do if more time is allowed. 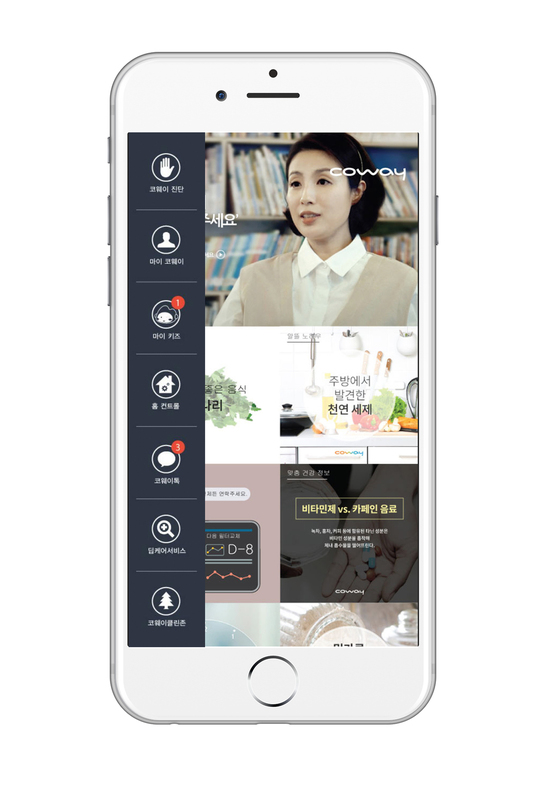 To find insights of the users through Cody and Homecare Doctors (Coway employees) who have been meeting with the users and their usage of health related products on a regular basis. To see the possibility of communicative function of the system by observing their conversation and behavior patterns when information about health and environment is given. 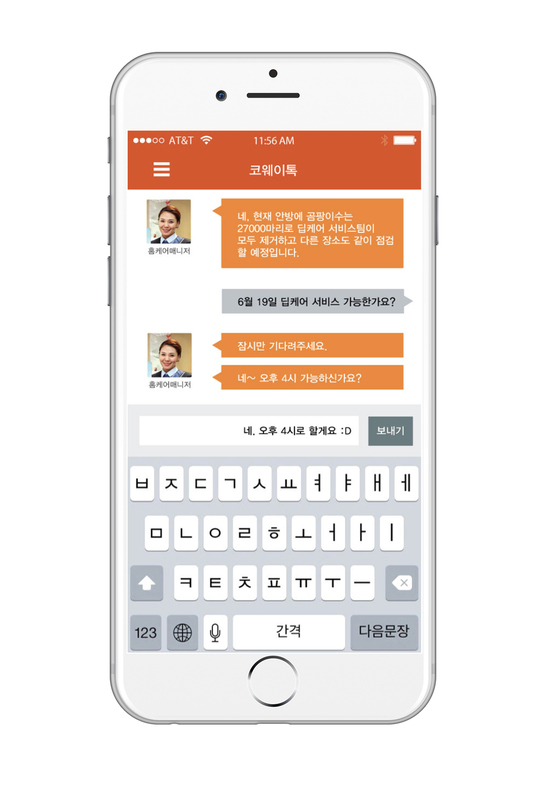 Through KakaoTalk, Coway Bot delivered informative messages everyday. Through primary research, we have gained 388 observation cards that listed the users' behavior patterns or habits. We reorganized the observation cards through "One Card Game" method, which is a process of synthesizing observation cards to create findings cards. We managed to sort out 388 observation cards to 115 findings cards. We used 3 analysis methods to extract insights from 115 finding cards. We draw user journey map of the two research participant families based on the findings cards. We could see what each family member does in time basis. We grouped related findings cards and created affinity diagrams. We also grouped the cards according to problems & solutions and time-based mapping. For working moms, supporters were a necessity. We divided the types of supporters into 5 categories and mapped out the findings cards. Through 3 analysis methods, we came up with 17 insights. We grouped these insights to get 5 meta insights. We listed implications for each insight and then created implication affinity diagram to set the direction of the system we are going to design. As a result, we concluded that the system should give users "something more" by suggesting new life style and give "alternative" by helping them with house chores. We sketched 77 rough ideas based on the direction. Next, we synthesized, distilled and refined them into 6 core ideas drawn out below. Based on the 6 core ideas, we suggested two system concepts: I-Care Service and Coway Perfect Care Service. Service blueprints are shown for each system concept. The two concepts were integrated into one system called Coway Total Care System. "Coway Total Care System professionally manages the home environmental condition and helps fostering the child's healthy living habits." Coway products and sensing devices at home monitor the environmental condition and send the data to Coway server. Then HomeCare doctors and HomeCare managers with professional knowledge interpret the data and take care of the home environment and communicate with the household. If a major improvement is needed, HomeCare Doctor visits the household to eliminate the cause of pollution inside home with professional instruments. Also, the child can download Coway mobile or smart watch application to log his healthy behaviors and get rewards from HomeCare manager who fosters such behaviors in the long term. 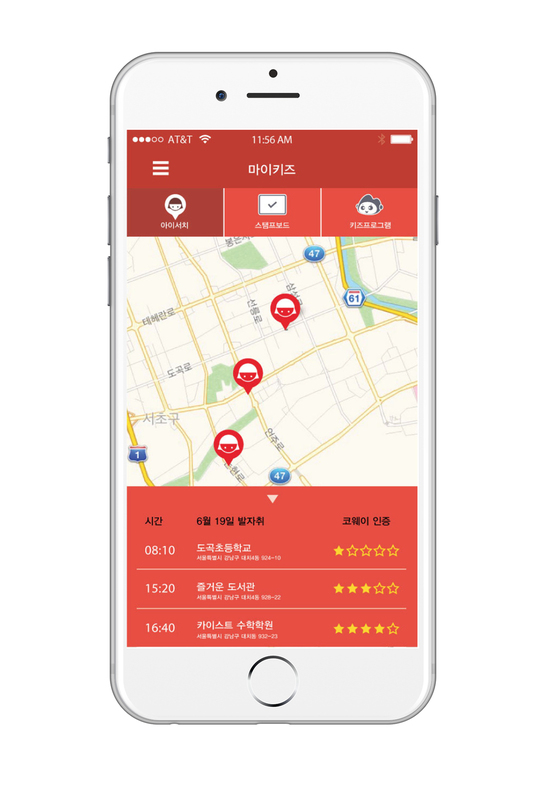 Coway application is linked with KT's I-Search service to provide parents the information about the child's location and whether the place is certified by Coway as 'Clean Zone'. The application also gives curated information about health related issues. 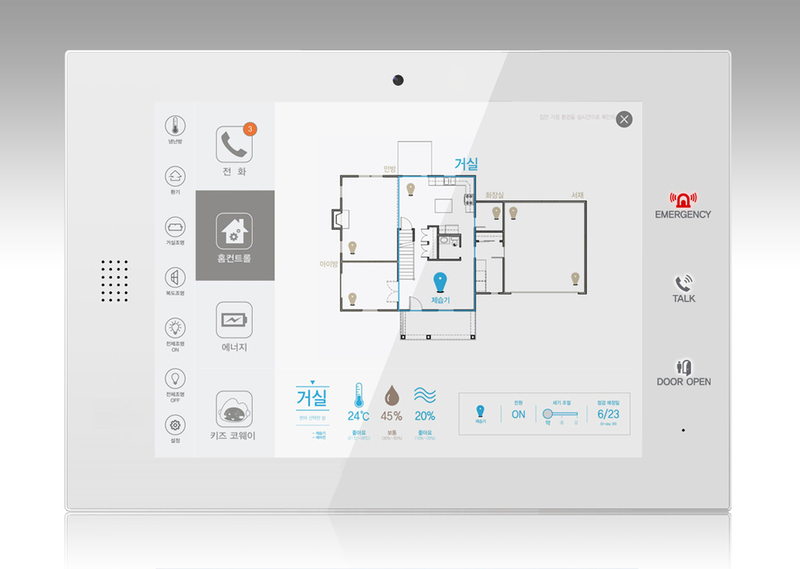 The application is synced with Coway devices at home, allowing the user to control them from outside of the house. All this system is linked to the wall-pad installed at home near the front door. 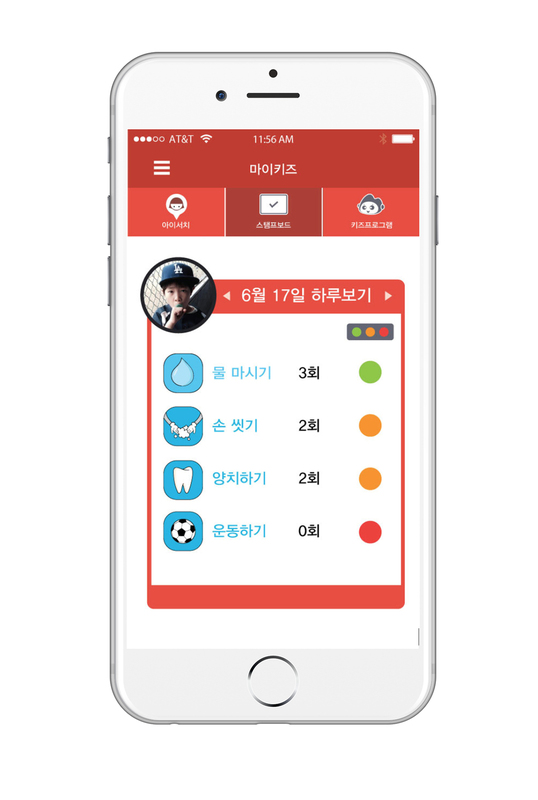 From the wall-pad, the user can see customized health and environmental information. The wall-pad also detects pollutants brought indoor and suggests methods to eliminate them. Wall-pad is a peripheral display that shows environmental information. It shows the weather and air quality of the day, health condition of each family member, each room's environmental condition, and the kid's reward earned from keeping healthy habits. The UI was designed in a way to visualize complex information in a simple and clear way. Coway app supports various features including controlling the home environment, communicating with HomeCare managers, getting curated health information, and keeping track of the kid's healthy habits.